IN THE NEWS: Help Preserve Your Eyesight With B Vitamins A study published in the July 2013 issue of the American Journal of Clinical Nutrition adds to the evidence suggesting certain B vitamins may be important in the prevention of age-related macular degeneration (AMD), which is the leading cause of vision loss in people over 55 years of age in the U.S. and Canada. Previous studies have shown that taking certain antioxidant vitamins and minerals as supplements (vitamin E, vitamin C, beta-carotene, selenium and zinc), at specific dosages, can slow the progression of AMD. What the Latest Study Says In the latest study, known as the Blue Mountain Eye Study, serum folate (B-vitamin folic acid), vitamin B12 and homocysteine status were determined from blood samples drawn in 1997-1999 from cohort members ages 55 and older. AMD was assessed in 1,760 survivors from retinal photographs taken in 2002-2004 and 2007-2009. Results showed that higher blood levels of homocysteine were associated with a significant increased risk of developing AMD, whereas higher levels of vitamin B12 were strongly associated with decreased risk of developing AMD. Homocysteine is a toxic end-product of metabolism known to damage blood vessels and increase the risk of cardiovascular disease. How You Can Prevent AMD It is thought that AMD is a highly preventable disease, thus requiring attention to various lifestyle behaviors. Extrapolating from what we know from experimental, observational and clinical studies, the following practices appear to be the best proactive strategies to prevent the development of AMD:Don’t smoke-Protect your eyes from UV light-Prevent the onset of type 2 diabetes by maintaining your ideal weight, performing endurance and strength-training exercises regularly, and keeping your blood sugar levels within an ideal range (talk to your doctor to for more info)-Eat a diet rich in brightly colored vegetables and fruit (dark green, yellow, orange, blue, purple, red).-Take dosages of antioxidants and B vitamins:Vitamin C: 1,000 mg-Vitamin E: 400 IU-Selenium: 200 mcg-Zinc: Vit A 25,000 IU -Lutein powder: 6 mg-B-50 complex, including 400 mcg folic acid, 50 mcg vitamin B12 and 50 mg vitamin B6(which also lowers homocysteine) If you’re already suffering from advanced macular degeneration, higher dosages of certain vitamins, minerals and phytonutrients are required to slow the progression of the disease. WELLNESS: Poor Sleep Is Bad for Your Waistline If you think you’re getting a good night’s sleep on a regular basis, you’re either fooling yourself or in an extremely small minority. That’s because increasingly, people are tossing and turning, waking up repeatedly, going to bed late and waking up early, or just plain waking up feeling tired, unrefreshed and unready to take on the next day because of a poor night’s sleep. There are short- and long-term consequences of poor sleep, ranging from irritability and concentration lapses (short term) to cardiovascular disease (long term), but your weight and waistline also may suffer, according to research published in PLoS One, the peer-reviewed journal of the Public Library of Science. 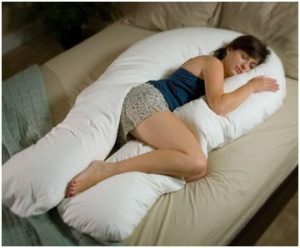 In a recent study, adults were divided into three groups based on their average sleep duration: Less than six hours nightly (5.88 hours), more than seven hours (7.26 hours), and more than eight hours (8.44 hours). If you got the most average sleep per night, your body-mass index (BMI) was about two points lower than if you got the least average sleep per night. Getting the most sleep, compared to the least, also corresponded with 1.6 inch smaller waistline, on average, compared to getting the least sleep. NOTE: We have several natural products that can help your sleep. Ask about it on your next visit. Also visit Keefeclinic.com and type sleep in the search bar. CHIROPRACTIC: Knee Osteoarthritis: Steroid Injections Aren’t the Answer Knee osteoarthritis can be painful and limit your activities, but corticosteroid injections aren’t the answer, according to new research published in the May 16, 2017 issue of the Journal of the American Medical Association. In the study, quarterly steroid injections actually increased cartilage loss over a two-year period without providing any benefit. That’s a loss-loss situation if you ask us. 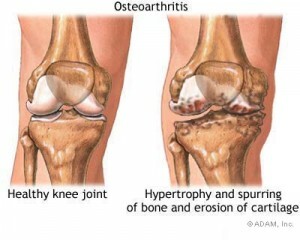 Patients suffering from knee osteoarthritis with synovitis were divided into two groups, with one group receiving the corticosteroid injections every 12 weeks for two years and a second group receiving a placebo (saline injections) at the same frequency and over the same time frame. Patients in the steroid group lost an average of 0.21 mm in cartilage thickness over the two-year period compared with only 0.10 mm, on average, in patients not receiving corticosteroids. What’s more, patients receiving steroid injections scored only 1.2 points lower on a 0-20 pain scale (0 = no pain, 20 = extreme pain), while patients not receiving steroid treatment scored 1.9 points lower following the intervention period. In other words, patients who received no steroids reported less pain at three-month follow-ups than patients who received steroids! Osteoarthritis is the most common form of arthritis in the world, which makes finding effective treatment options paramount. Unfortunately (and as we’ve said repeatedly with other scenarios), drugs – in this case, injections – may not be the answer. If you suffer from osteoarthritis, talk to your doctor about nondrug alternatives to manage your pain and reduce other symptoms. 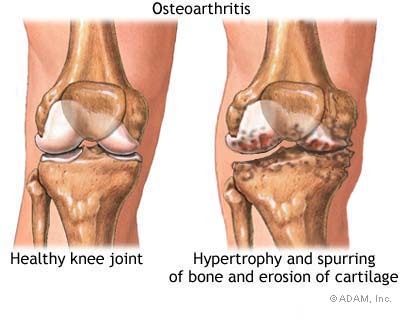 NOTE: Steps to prevent and correct knee problems: arch supports, anti-inflammatory diet including fish oils, supplements that build Cartledge, keeping your knees in proper alignment. This entry was posted in News and tagged acupuncture, Aspirin, Dr. keefe, Natural Healthcare, pain, Sleep, tulsa chiropractor by DocJohn. Bookmark the permalink.